After extensive studies and research to discover the most suitable pure and natural ingredients along with an environmentally conscious concept for professional hair care products, Dancoly Paris proudly introduce “Angel En Provence”. En Provence is specifically formulated to be gentle, giving you the ability to create dazzling results for all hair types. A luxurious formulation based on fusing a harmonious blend of technology using the purest forms of cold pressed essential oils and plant extracts. 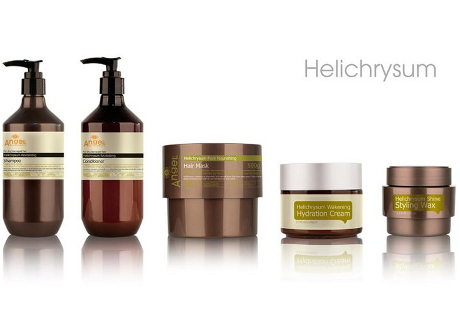 Natural Ingredients Used: Helichrysum, Verbena, Orange Flower, Lavender, Rosemary, Green Tea, Rose and Grapefruit. The Angel En Provence range does not use any Sodium Laureth, Laurel Sulphate, Parabens, Mineral Oil, Paraffin Oil or Propylene Glycol. The range is GMP, FDA Certified and 100% Cruelty Free.